KwaZulu-Natal police spokesman Brigadier Jay Naicker said police were aware of the “offensive video that is circulating on social media platforms”. 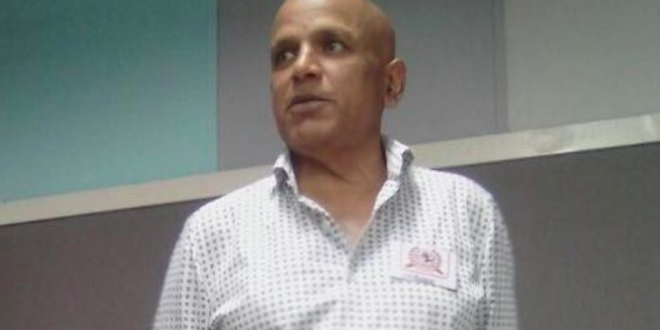 “We view the allegations in a very serious light and detectives at the office of the Acting Provincial Commissioner have opened an inquiry for further investigation‚” said Naicker. Since uploading it on Tuesday‚ Nair’s Facebook post and video has gone viral. Social media has been carrying reports and are broadcasting a statement by my brother, Kessie Nair, on racial slurs against the President of South Africa, Comrade Cyril Ramaphosa. It also makes derogatory statements of racial hatred against certain sections of the South African community. As a family we distance ourselves from such utterances and statements. We have a history of being in the trenches fighting apartheid and being involved in the struggle for the liberation of this country from the shackles of the Nationalist Government. ALSO READ: Racist Kessie Nair calls South Africa’s president Cyril Ramaphosa the K-word in video that has gone viral. His health took a turn for the worst a few years ago. He suffers a serious chronic illness. The visuals he posted of himself shows he lacks the intelligence and understating of what he is saying. His incarceration for a long time has also played a role in his personality. Kessie needs immediate medical care and attention. He is physically and mentally unwell. Kessie’s statements are irrational and deserve to be condemned. We also urge the authorities to help ensure he gets the proper medical help. We urge the South African community to forgive him and we will do our best to make amends.